If you’re in a company that dabbles in online sales, you’re probably all too familiar with the stinging pain of cart abandonment. People abandon shopping carts all the time and for too many reasons to list. No matter the reason, the reality is that most carts do end up abandoned. A study shows that almost 79 percent of all carts across all industries remain unsold. What you’d like to know is how to keep it at a minimum to ensure maximum sales. Luckily, cart abandonment emails are just another tool in your marketing automation utility belt, ready for you to break out in a pinch. After a certain amount of time, you can automate a message to a potential customer reminding them that their items are still in their shopping carts in hopes of closing that sale. It’s a handy technique that shows consumers your company cares and is surprisingly effective when done right. This one’s a no-brainer. At the end of the day, your consumer is interested in the products more than anything else. They were interested enough to commit to putting them in a cart to begin with, after all. One of the most common reasons for cart abandonment is simple forgetfulness. If you can remind your customers of their initial interest in your products, they’re likely to come back and finish the transaction. Since many people are more engaged by visuals, it might be wise to include an image of the product rather than just the title of it. We’re talking big, conspicuous, bordering-obnoxious CTAs. Reminding customers of what they left behind is all well and good, but there’s not much you can do with that reminder if they don’t actually go back to their carts and seal the deal. Have it be an appealing, noticeable CTA, either at the top or bottom of your message, linking the recipient back to their shopping cart. The main point of contention here is one that you have to consider with all CTAs: how much is too much? For that, you just have to use your best judgment. If you think the CTA looks too over-the-top, your target audience will too. Oh, copy. The unsung hero of marketing. As much as we love automation around here, we’ll be the first to admit that no solution will be able to generate cohesive written material. The content and of the copy is hugely important when trying to get someone to come back to their cart. Naturally, it has to be a pretty persuasive message, so don’t be too afraid to put your best sweet talker on this one. Having a sense of humor or another distinguishable brand voice helps a lot in this regard as well. Be engaging. Be inviting. Be creative. Be convincing. Hit all four of those and your messages will get people flying back to their carts. This is more of a general email tip, but it still is very applicable here. When you automate these messages, you want to make sure your work isn’t being wasted. Your customer has to actually open the thing for it to work. A simple task they may not even attempt if the email doesnt grab their eye with a catchy subject line. For a great list of some of the best opening subject lines, check out Hubspot’s blog post on the topic. If we’ve said it once, we’ve said it 1000 times: in marketing, timing can be everything. In marketing automation, this is doubly true. If the email arrives too late and the user may have gotten over the urge to make the purchase or, even worse, found a better deal elsewhere. The prime timeframe you want to send the email is somewhere in the space of 24-48 hours after the cart was abandoned. Strike while the iron is hot and make sure they don’t forget about their cart. For more information about cart abandonment over the last decade, check out this study. 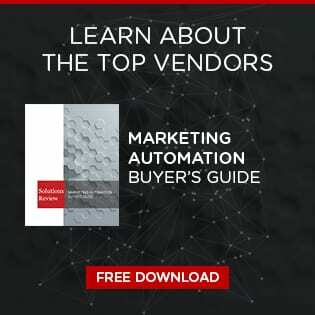 If you want more information on which solutions offer the best options for abandonment email creation, check out our free marketing automation buyer’s guide. Next Next post: Should You Be Hiring Marketing Automation Experts?